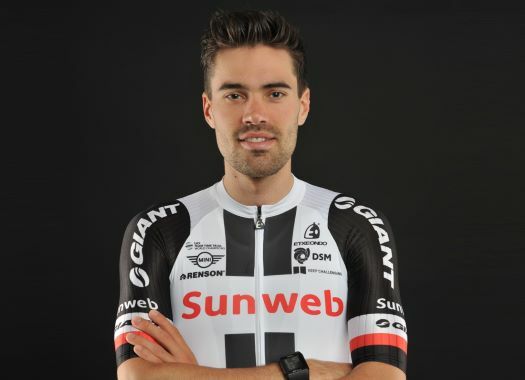 Tom Dumoulin (Sunweb) managed to stay in the favourites group during the first real climbing day of the Giro d'Italia, maintaining his second position in the general classification. The Dutchman finished in 8th position at the sixth stage of the Italian grand tour at 26 seconds from winner Esteban Chaves and new Pink Jersey wearer Simon Yates. "There were a lot of attacks today but only Yates had the legs to really pull on," said Dumoulin at the end of the day. "I decided to spice things up a little bit and see how everyone was doing. I felt like I had something left, not a lot but some, and I wanted to know if I was the only one feeling like that. I wasn’t super today but I was there so it was alright. It was good that with not the best legs I could still hang on. The rider sits in second position of the general classification at 16 seconds from Yates. "I still have a good position int he GC but today I wasn’t the best," he explained. "It was a difficult final climb, really long and challenging. It’s difficult to draw conclusions based on today."